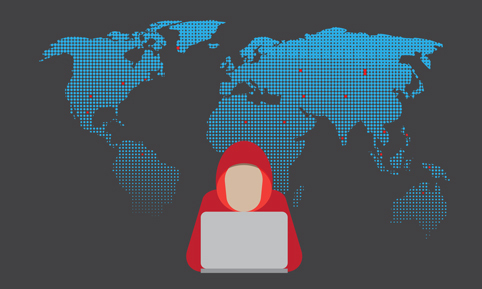 Malicious activity by trusted users can be very hard to catch, so look for these red flags. Insiders with legitimate access to enterprise systems and data are responsible for far more data breaches than many might realize. Granted, very often the breaches are accidental or caused by an individual’s negligence or failure to follow policy – but when a malicious insider is responsible, the results can be disastrous. Edward Snowden’s 2013 heist of some 1.5 million classified documents from the National Security Agency (NSA), where he worked as a contractor, remains one of the most spectacular examples of insider theft. But there have been countless other incidents in recent years where organizations have experienced serious data loss or damage to systems and data as the result of malicious activity by an insider. While enterprises are generally cognizant of the threat, many have struggled to deal with it. One reason is that most security tools are not truly designed to spot dangerous or potentially malicious activity by someone with legitimate access to an enterprise system or data. In addition, many organizations have been cautious about implementing too many controls for monitoring insider activity for fear of being viewed as too big brotherly. Here, according to Wyatt and others, are six signs that an insider has gone rogue or is headed that way.